The FHIR (Fast Healthcare Interoperability Resources) standard has reached a key milestone with release 4. The standard itself, and vendor support, have attained a plateau of maturity, and the industry is anticipating its potential benefits. Now, an important question lingers – will this revision of FHIR bring the ecosystem closer to a single standard of interoperability? Originally sponsored by Health Level Seven International (HL7) in 2011, FHIR presents a common framework and the best hope yet to resolve differences among disparate players in healthcare data exchange. The current state of FHIR adoption outside of EHR vendor APIs is still nascent, and implementation inconsistencies among EHR vendors to-date have been frustrating. As a result, 2019 and beyond may be nowhere close to what many are expecting. In order to realize the full value of FHIR, there must be collaboration between EHR vendors, provider organizations and application (app) vendors. Let’s examine steps that each of these stakeholders should be taking to keep the FHIR momentum alive. The adoption of FHIR by EHR vendors has been slow and spotty. Large players have embraced it and launched app stores around it. The long tail of EHR vendors are still struggling to catch up with previous generations of standards, much less FHIR. There are also variations among EHR vendors on how they handle FHIR in terms of what data they collect, how they structure it, what they make available, and whether they support traditional interfaces or modern APIs. The next step would be to encourage these vendors to embrace a universal version of the FHIR API – offering the potential for developers to write code once and be able to connect to all EHRs. Today developers contend with differing FHIR versions, local code systems and inconsistent authentication strategies. The EHR vendors should push for stricter data requirements so that developers can move their product between EHR platforms easily. For many, a business case has yet to arise where providing such flexibility makes or breaks them. That needs to happen – sooner rather than later. Instead of waiting for a market signal to start implementing FHIR, provider organizations should train staff and build infrastructure to enable a FHIR-based future. FHIR has yet to cross the chasm from enthusiast and innovator health systems to the early majority. Participation in HL7 and the process of feedback to EHR vendors offers that important early majority perspective. At this point, large scale use of FHIR makes sense theoretically, but the real world often follows a different path. The world of provider organization IT is not well positioned to rapidly adopt new technologies like FHIR. Most healthcare provider organizations are focused on running a very lean IT team, meaning an integration project will likely be competing for resource hours and prioritization (e.g., networking, setup, troubleshooting for live applications, end user support) and working with non-specialized resources, which may or may not have a depth of experience with integration. For providers to support the standard and drive interoperability forward, they must see the direct connection between making patient data easily exchanged among providers and being able to predict costs, measure outcomes and coordinate care. Provider organizations have a powerful lever to move in that they are buying the EHR technology. 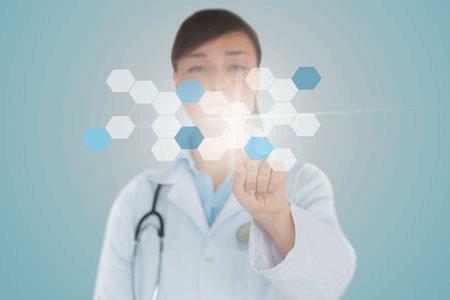 App vendors want to connect to EHR systems, but it’s hard to give them a path forward as they are so varied in the data they need. App vendors care about connecting and sharing data, but few are adamant that it be in FHIR. App developers are not always sure where the data is, what to call it, and whether they are going to get back what they asked for. FHIR provides some of the context needed to have these conversations, but because provider organizations are not as far along in FHIR implementation as EHR vendors, such conversations are still fraught. Companies selling software into healthcare organizations don’t have any control over what standards are used. When they get valuable IT resources staffed to their implementation, there isn’t an à la carte menu of various integration methods. Rather, the integration method is the intersection of what the EHR vendor supports and what the organization is willing and capable of bearing. Walking into each new connection at a health system with FHIR-first might land an app vendor at the bottom of the integration backlog. Despite this, it’s important for IT staff to hear the FHIR-first approach. The industry must continue to build the momentum for FHIR as a mature standard for the electronic exchange of health information. All stakeholders should continue to support and expand the U.S. Core requirements for FHIR. Like any industrywide standard, it is not valuable unless enforced. Who will ensure the three primary stakeholders – EHR vendors, providers and app vendors - are moving FHIR forward? Right now, EHRs are the frontrunners as they have built the technology and done the heavy lifting. Now it’s up to the providers to adopt the standard to enable the app ecosystem to flourish. Finally, app vendors should be looking at FHIR, specifically how they would incorporate what’s already in the U.S. Core requirements, and what needs to be added in the future.